We’re excited to announce that DirtCast, our new podcast dissecting the salacious and calculated world of celebrity gossip, is—like Anastasia Steele in Fifty Shades Darker—coming very soon. But aren’t there more important things going on in the world that we should be talking about right now?, some of you—the idiots—will ask, and yeah, duh, of course there are. That’s why we have our sister politics podcast Big Time Dicks to keep you well informed. So while our smarter colleagues Prachi and Joanna do the dirty work of keeping an eye on the politics front, please allow me, Madeleine Davies, and co-host Bobby Finger to guide you into the underbelly of the tabloid industry to tell you which celebrity couples are fake, why people keep giving Kelsey Grammer TV shows, and which reality star will be our next president (spoiler: it’s definitely Kylie Jenner). So please tune in because if one thing is clear in trying times, it’s that someone has to keep an eye on Taylor Swift. 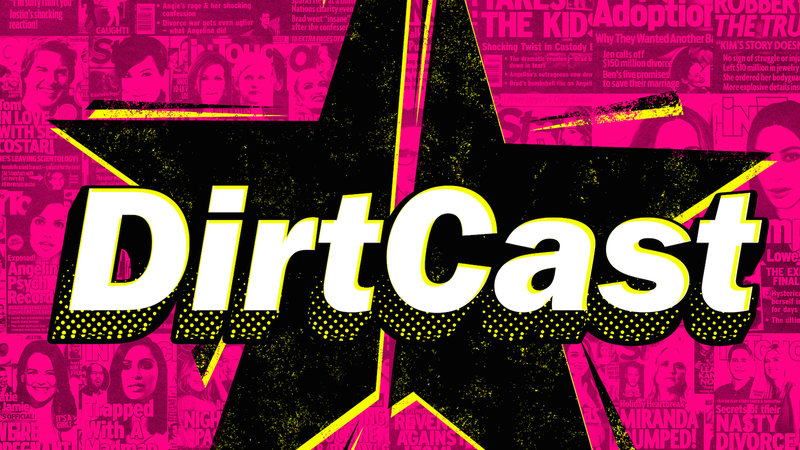 Download past episodes or subscribe to future episodes of DirtCast by Jezebel for free.